beauty in just a few minutes in New Cairo . Layan is located in the heart of New Cairo . where everything is accessible . and Platinum Club is just around the corner. 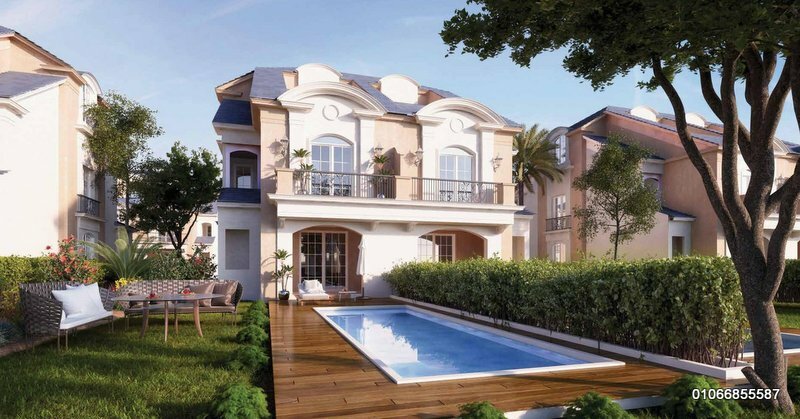 Offering 1200 units of villas, twin houses, and townhouses. Explore French heritage and culture, live the imagination and fly to the land of art and beauty in just a few minutes in New Cairo. Layan is really a wonderful French experience that you can experience without having to travel on a plane. who do not want to wake up to the marvelous green park scene in Versailles, walk on the waters of the Seine, listen to melodious French tunes and rhythms, watch art embody the streets and buildings, and of course the streets of France. All models, drawings, sizes, dimensions and building materials are the closest to reality, and the company has the right to modify them or change them according to the specifications issued in view of the marketing plans related to the project.